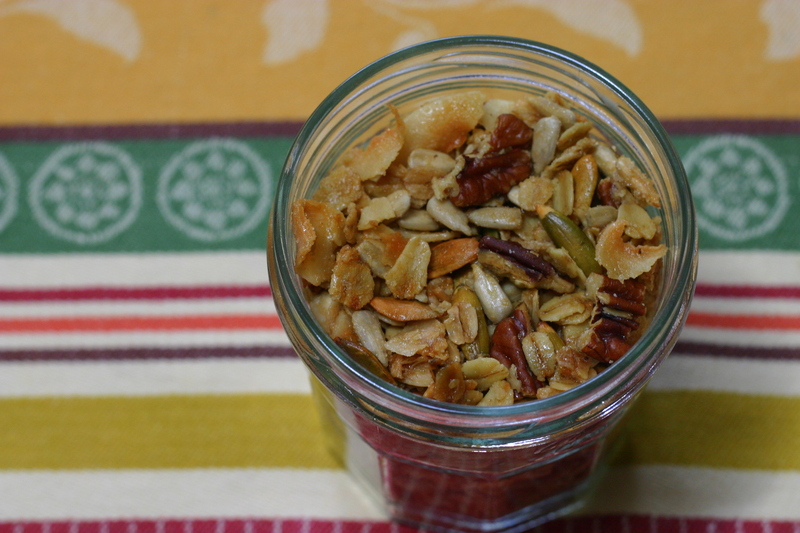 I LOVE this granola. The best tip I ever got is that it freezes well–last time I made it I quadrupled the ingredients, mixed them in my huge stock pot, and baked it in separate batches. Plenty to eat, give away, and freeze for later! You made this same exact recipe too?! I seriously couldn’t believe how good it turned out–I absolutely love Food52. My family is begging me to make more. Thank you so much for the freezing tip–I never would have thought! Totally thrilled to see your new kitchen ! 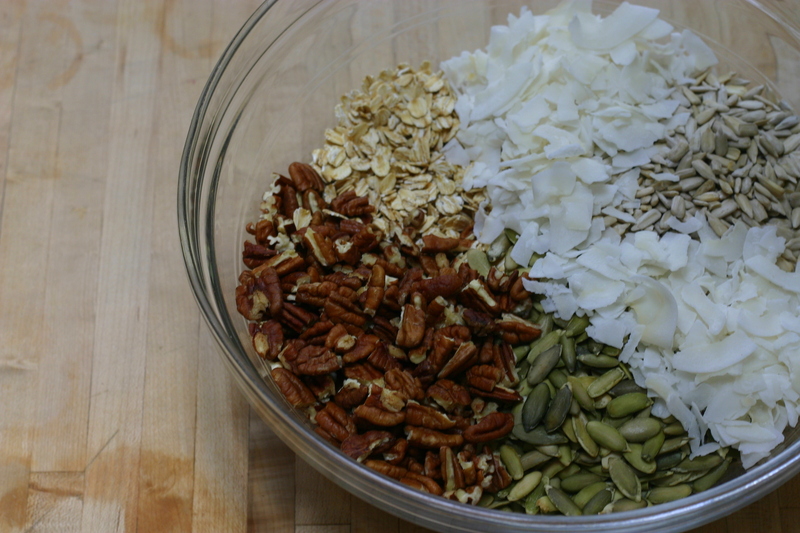 (and the rest of your place… *nudge*nudge*) 🙂 Your granola looks delish! 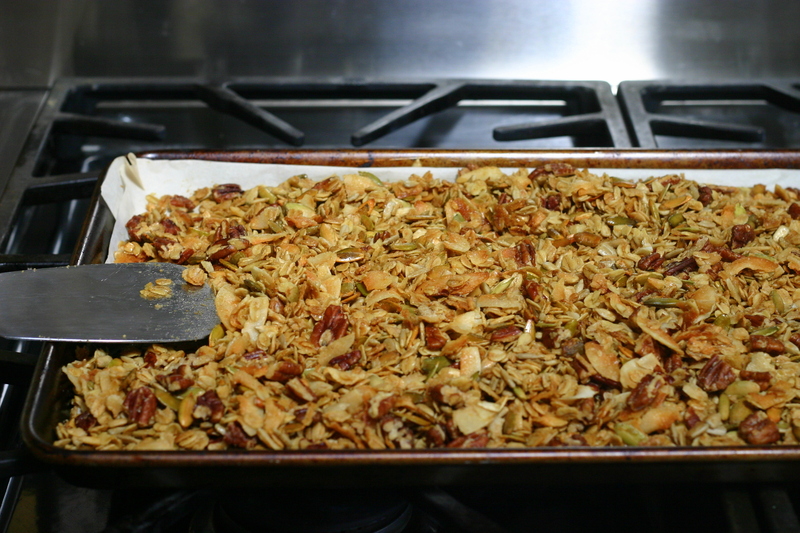 That was the same problem I had once I made granola here … it was gone almost before I could send it off to people, I had to make more! I will definitely post pics of the entire place once it’s a little less cluttered and embarrassing! 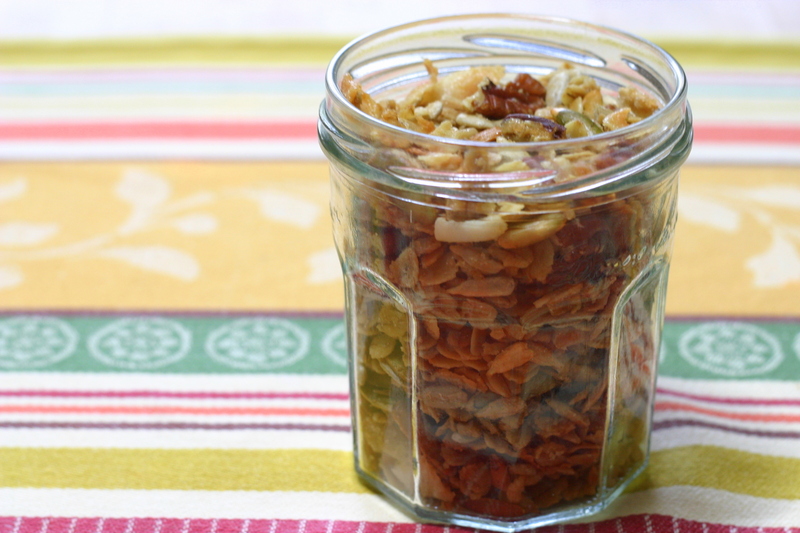 😉 Granola is so hard to keep around the house–I mean who doesn’t love it! Also, thanks for letting me know about the links! no problem 🙂 Thanks for getting me hooked on the foodzie… I’m *begging* my hubby to let me do it! … he is resisting ever so slightly, I think he knows it’s going to happen … how did you come across it? I heard about Foodzie on Twitter back when we were living in Seattle. I didn’t know that they shipped internationally! It’s really cool because they now offer a couple themed curated boxes every month that you can choose from. Last month I got the Italian cooking box. The month before, it was brunch food. I like this better because then you don’t just end up with a bunch of snacks–you can actually get ingredients to incorporate into your dishes. I hope your husband let’s you give it a try! 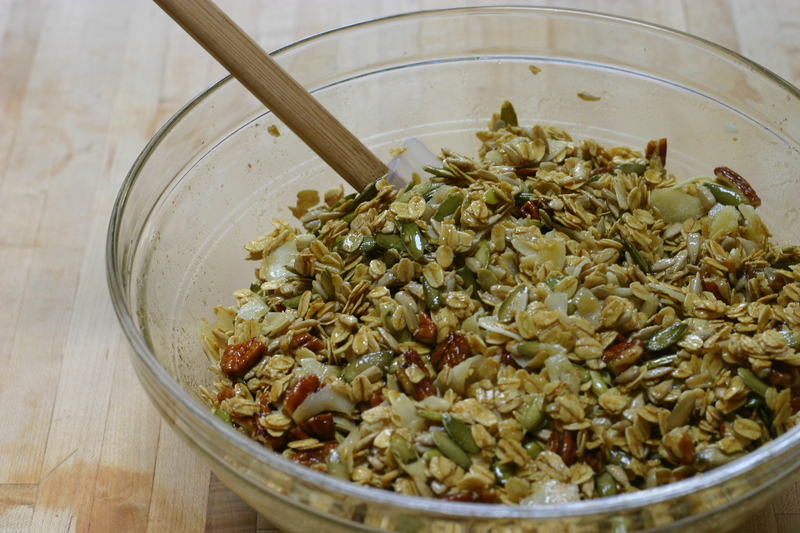 I love granola! I use coconut oil usually but will have to try olive oil. Congrats on the new place! Looks delicious…. gotta make some.